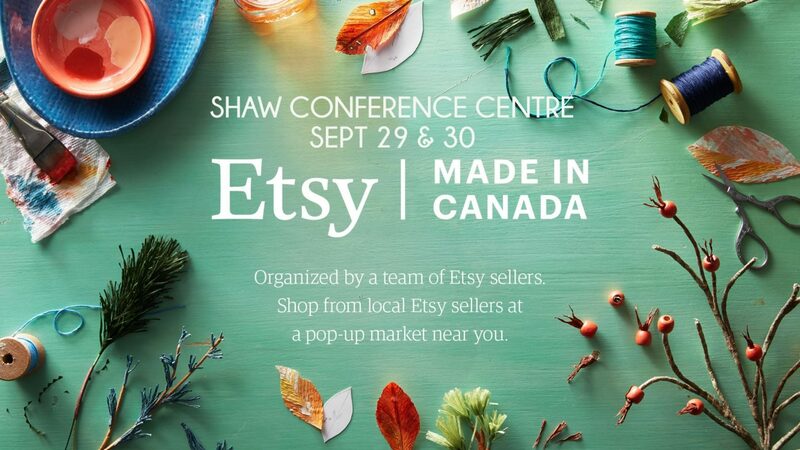 Etsy Made in Canada is back for a fifth year to gather in the heart of our River Valley at Edmonton’s downtown convention centre! Saturday, September 29: 10 a.m. – 6 p.m.
Sunday, September 30: 10 a.m. – 4 p.m.
Tickets: $5 CASH at the door for 16+. Youth 15 years and under are free.